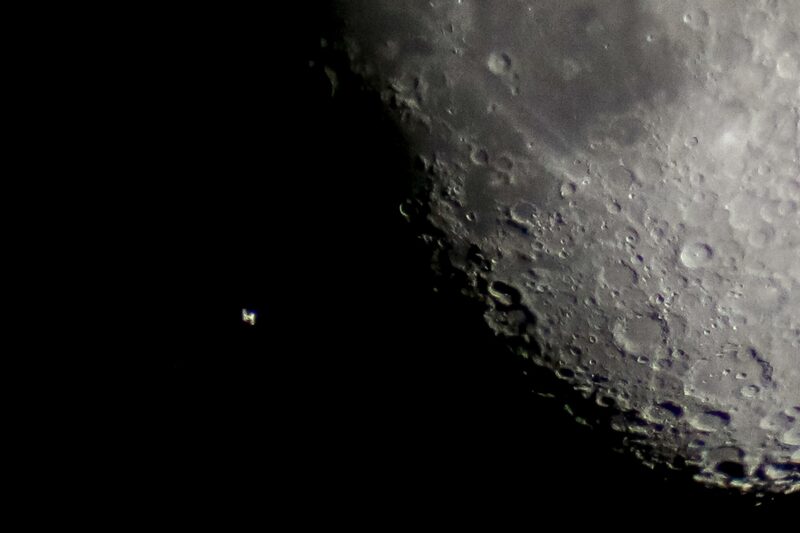 The International Space Station passed the Moon on the 13. August in 2016 at 21:34:34. A moon transit takes only 2 to 3 seconds so you should be really fast with your camera trigger.